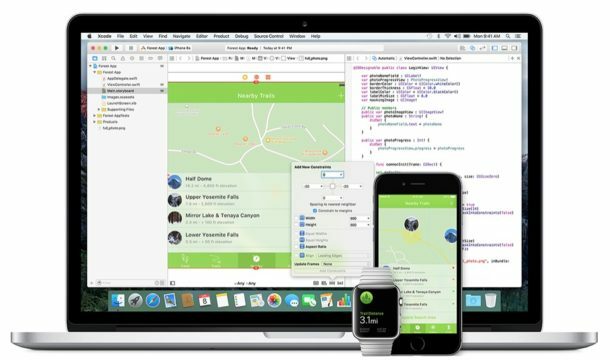 Apple has released the second beta versions of iOS 10.3, tvOS 10.2, watchOS 3.2, and macOS 10.12.4. 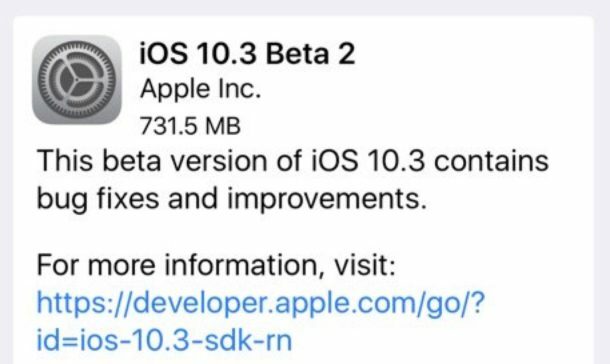 Users participating in the beta testing programs can find iOS 10.3 beta 2, macOS 10.12.4 beta 2, tvOS 10.2 beta 2, watchOS 3.2 beta 2 available through the respective software update mechanisms on their devices. No major new features are expected in the beta releases, suggesting the releases will likely focus on bug fixes and minor refinements to the operating systems. Perhaps most notable is iOS 10.3 beta where a “Find My AirPods” feature is being tested, which aims to help locate a misplaced set of wireless AirPods. Additionally, macOS 10.12.4 is testing a Night Shift feature that will adjust the display warmth with daylight. In iOS, the beta updates are available to download through the Settings app > Software Update. tvOS beta updates are available through the Settings app as well, whereas watchOS beta updates are found through the Watch app on the associated iPhone. macOS 10.12.4 beta 2 was released a bit later but is now available as well, Apple often releases updates to all of their beta operating system builds at the same time. In Mac OS, beta updates are available through the  Apple menu > App Store > Updates tab. Apple plans new smaller Ultra Accessory Connector (UAC) for Made-for-iPhone accessories. I love dongles! I hope Apple renames the company to Dongle Inc and the next OS is dongleOS and they just release nothing but dongles from here on out. iOS Dongle Plus Pro, TvOS With Dongle TV, WatchDongle With Wrist Dongle Plus, macDongleOS Dongle Edition running on your brand new $3500 MacDongle with DongleBook DongleBar, and DongleBook Air with DongleTouch Technology. The best dongles from the best dongle makers! This has to be the worst dev build of MacOS Apple has released. When you get 8 kernel panics in one day due to WindowServer and shoddy Nvidia drivers, it makes you think that the progress they should be making isn’t very good.